Have I mentioned that I love ribbon? I also love hanging more Holidecor! Now that we’re in a house, I finally have a stairway to decorate after all the years of city living. 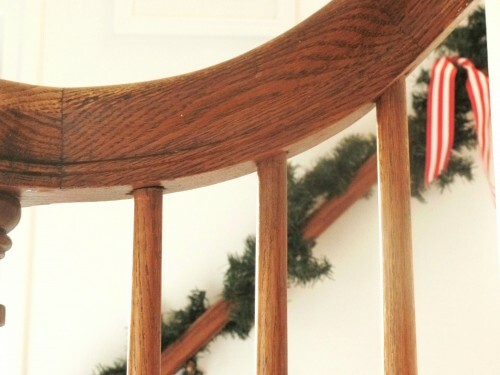 Everyone enjoys a well hung Holiday banister! 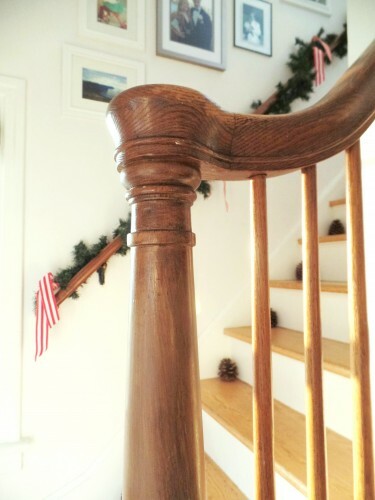 But my banister is just a baby, maybe 2 feet…. 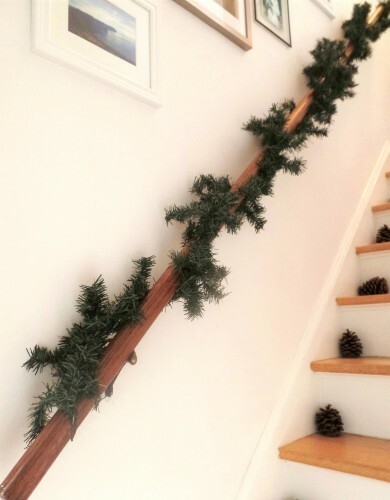 So last year I decided to just decorate the handrail instead. 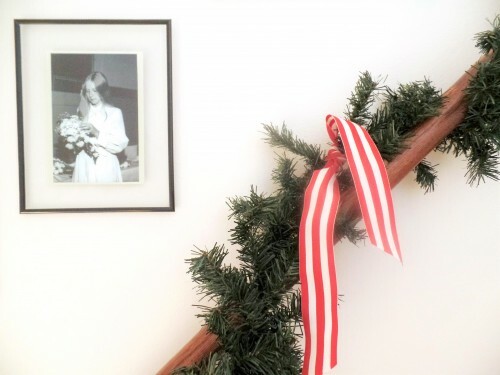 The green garland with the red and white grosgrain ribbon make me so Holiday happy! 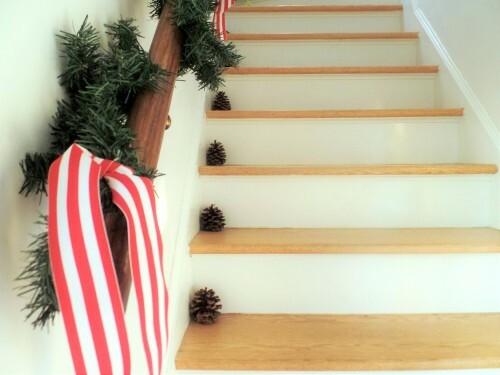 Here’s a quick and inexpensive Holidecor how-to create a candy-striped Christmas stairway in your own home. 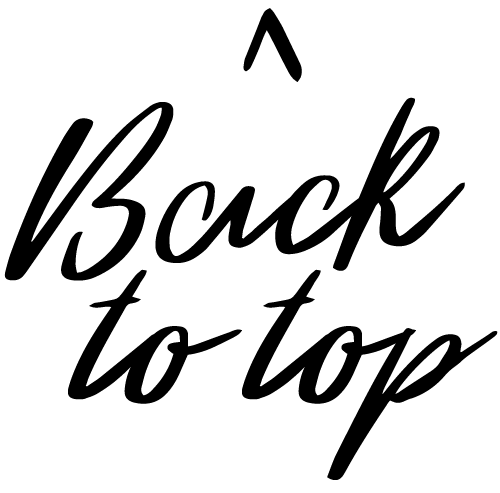 *Don’t worry if you’re in a 1-story living space, other options down below! 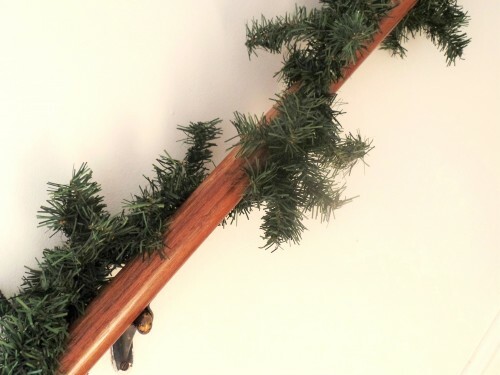 All you’ll need is an 8ft piece of thick WIRED garland and 1 roll of 1.5in wide ribbon. 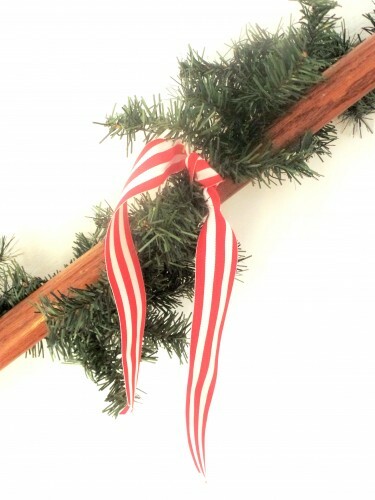 I love the candy stripe, but a silver or gold and white stripe could be lovely, or anything that goes with your decor! The 1.5″ width is more important, as too much larger or smaller may not look as nice with the scale of the garland. last year’s handrail. used more ribbon, less space between. baby banister. i should at least add a bow! It’s so simple and so Holiday chic! Maybe you don’t want to dress the handrail for safety’s sake, do not have a stairway, or just want other options… Good news! The garland is so flexible and versatile. 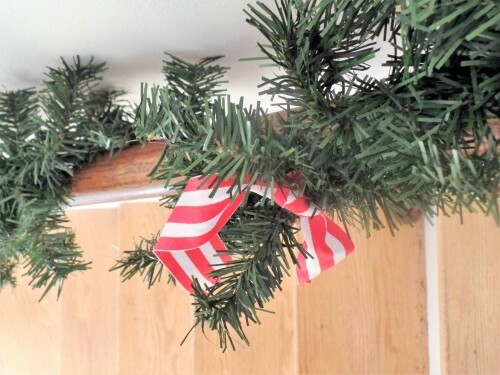 The ribbon is a great alternative to lights for garnishing your garland, and can be added on it anywhere! 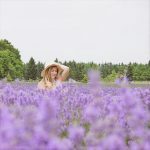 To get this look in your space, here are some other ideas I’ve also tried…. A wall swag would also be awesome if one were willing to hammer nails in for it! 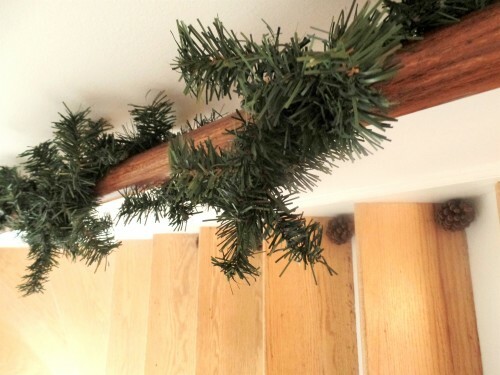 Maybe you have a large picture hung with 2 nails that could be removed and replaced with garland for the season?! 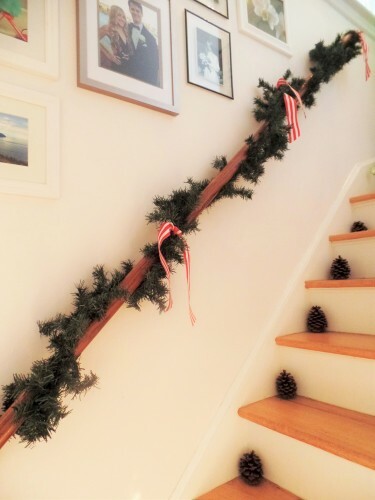 I get happy eyes every time I go up and down the stairs and see this garland gorgeousness. 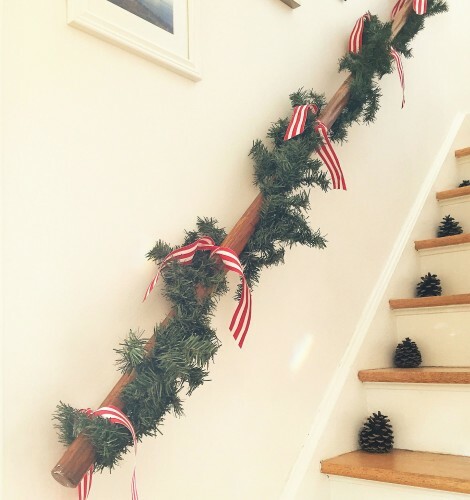 So I hope you enjoyed my Candy-Striped Christmas Stairway and Holidecor swag ideas to help love living in your own life this season!